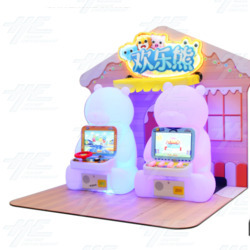 A cute bear house for children aged 3-10. Contains multiple games, like music and driving games. Coin out is also available for consolation prizes.